Dress infants and children warmly for outdoor activities. Several thin layers will keep them dry and warm. Don’t forget warm boots, gloves or mittens, and a hat. Choose boots that are large enough to comfortably accommodate two pairs of socks. Remove drawstrings from clothing which may get caught on tree branches or play equipment. Replace with Velcro. The rules of thumb for older babies and young children are to dress them in one more layer of clothing than an adult would wear in the same conditions. Blankets, quilts, pillows, bumpers, sheepskins and other loose bedding should be kept out of an infant’s sleeping environment, which we follow here at Today’s Life, because they are associated with suffocation deaths and may contribute to Sudden Infant Death Syndrome (SIDS). It is better to use sleep clothing like one-piece sleepers or wearable blankets is preferred. Hypothermia develops when a child’s temperature falls below normal due to exposure to colder temperatures. It often happens when a youngster is playing outdoors in extremely cold weather without proper clothing or when clothes get wet. It can occur more quickly in children than adults. If you suspect your child is hypothermic, call 911 at once. Until help arrives, take the child indoors, remove any wet clothing, and wrap him/her in blankets or warm clothes. Frostbite happens when the skin outer tissues become frozen. This condition tends to happen on extremities like the fingers, toes, ears and nose. Skin first becomes red and tingly, then gray and painful and finally white, cold and hard without pain. Blistering occurs after the skin thaws. Playing in temperatures or wind chills below -15 degrees Fahrenheit should be avoided because exposed skin begins to freeze within minutes. Prevent frostbite by dressing in layers, covering all body parts when outside in cold weather. Bring children indoors if clothing gets wet. If frostbite occurs, bring the child indoors and place the frostbitten parts of her body in warm (not hot) water. 104 degrees Fahrenheit (about the temperatures of most hot tubs) is recommended. Warm washcloths may be applied to frostbitten nose, ears and lips. Administer acetaminophen or ibuprofen (consult your doctor or pharmacist on dosage) when you begin rewarming because as the skin thaws pain occurs. If your child suffers from winter nosebleeds, try using a cold air humidifier in the child’s room at night. Saline nose drops or petrolatum jelly may help keep nasal tissues moist. If bleeding is severe or recurrent, consult your pediatrician. Children 6 months of age and up should get the influenza vaccine to reduce their risk of catching the flu. Around 80% of all influenza illness generally occurs in January, February, and March. 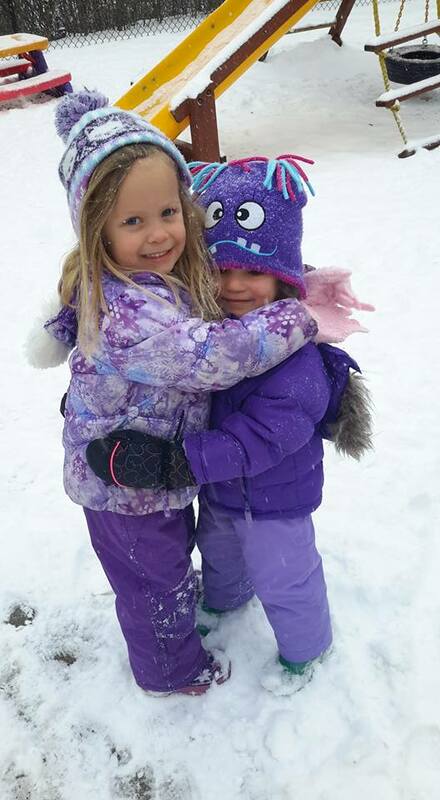 Set reasonable limits on outdoor play to prevent hypothermia and frostbite and make sure kids have a place to go warm up when they get cold. When weather is severe, have children come inside periodically to warm up. Alcohol or drug use should not be permitted in any situation. They can be even more dangerous in winter activities like snowmobiling or skiing. A few tips that we hope will help and answered some of your questions.